Whether you are looking for the perfect gift for Easter or Mother's day or just want to treat yourself. 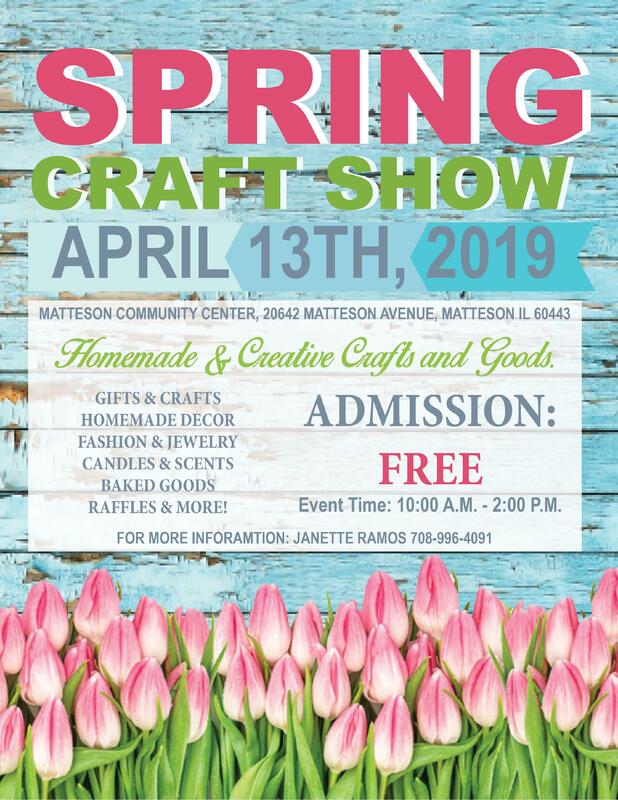 The Matteson Spring Craft Show will offer a variety of truly unique items from local vendors. The Spring Craft Show will be held on Saturday, April 13th from 10 - 2 pm. FREE ADMISSION. Purchase items from the vendors and receive raffle tickets for a special raffle prize. Interested in being a vendor please contact us at 708-996-4091.